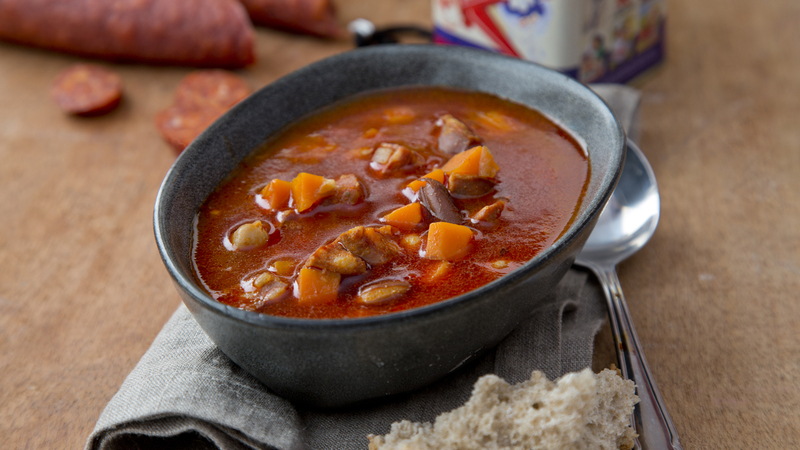 This is a lovely filling soup that just requires a nice crusty loaf to make it perfect! Sourdough bread works well at mopping up every drop of the delicious soup. 1. Heat the olive oil in a pan over a medium heat. Add the chorizo, carrots and onion and sauté for about 10 minutes, until the vegetables are tender. 2. Add the garlic and cook for 1 or 2 minutes more, until fragrant. Pour in the stock, then add the beans, spices and some salt and pepper. 3. Simmer over a medium heat for 15 to 20 minutes. Check the seasoning and adjust as required. 4. To serve, ladle the soup into warmed bowls and add a dollop of crème fraîche.